A brilliant display of golden aspens put on quite a display near the enterance to the west side of Rocky Mountain National Park. 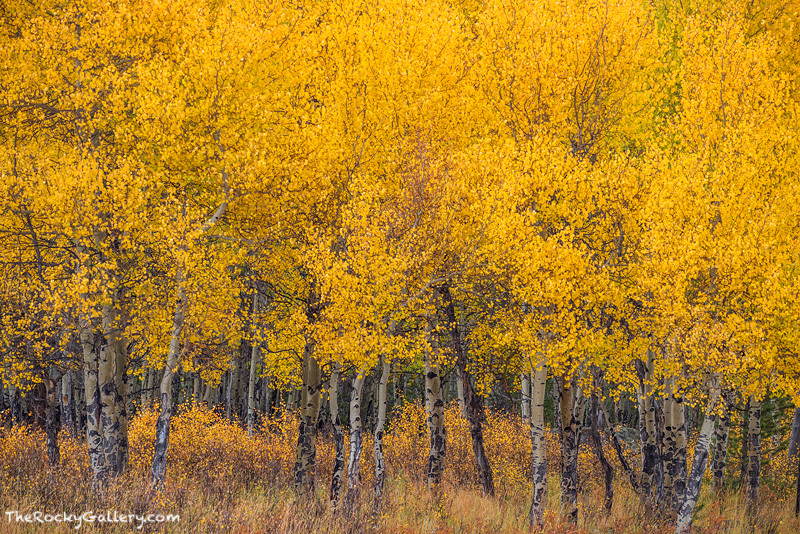 These aspen trees of the Kawuneeche Valley looked like golden candles burning upwards towards the sky. Photo © copyright by Thomas Mangan.